The Quilt Killer. Custom 28° all-out ultralight mummy. The UL (ultralight) version of the Alpinist, here offered as a 28° high mountain summer sleeping bag. This is the thruhike setup for those finding limitations with backcountry quilt usage: eliminate the drafts, no straps to get tangled in, convenient head coverage without a full burrow or down balaclava. 22.4 oz in size medium for an all around wrap of lofty down with the unique center zip that allow sitting chores with your back and head covered. Only the lightest fabrics and materials are applied to the Alpinist UL. 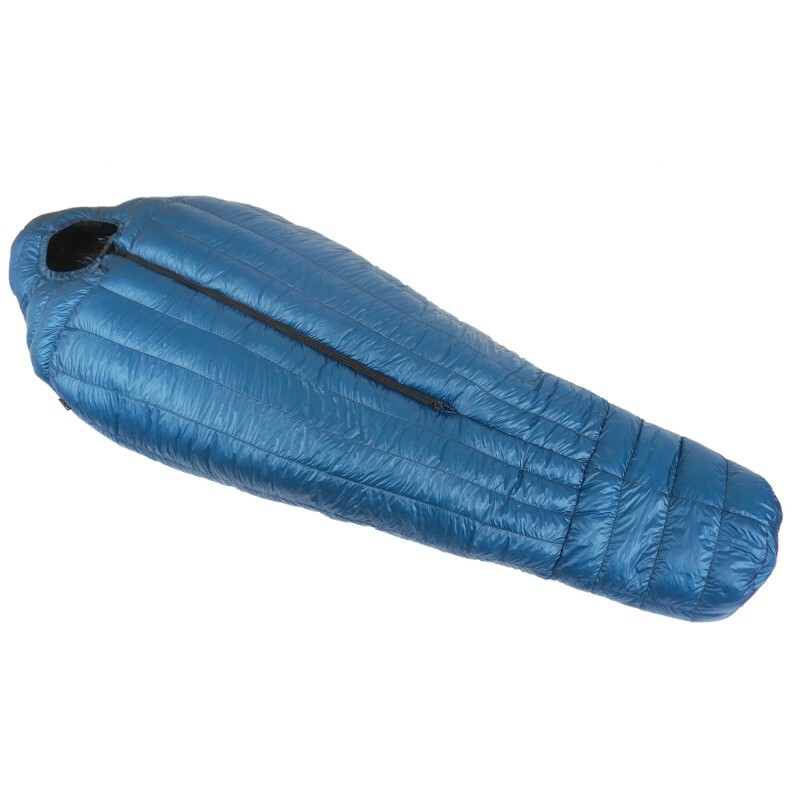 The down fill is carefully calculated and graduated to provide maximum insulation where it matters. Extensive custom options allow case by case sizing and/or further weight savings. Optional weather proof shell in full or partial coverage. I have used my Alpinist for a full season now and I am as much in love with it today as I was when I first got it. It has handled everything I have thrown at it and I have found it to be exactly true to rating even in humid conditions. The center zip is a dream and I very rarely have any snagging issues. The long fits me perfect at 6'2". The build quality, customer service and performance add up to make this, in my opinion, the best ultralight mummy bag on the market. The standard works for most. 30" Standard 35" Roomy 40" Voluminous! De-selecting draft tubes saves up to 40 grams depending on zipper length.